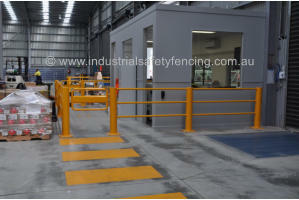 Contact Us Now on (03) 9303 9922 for all your modular safety fencing needs. The simplest way to eliminate the hazards of shared work zones is to eliminate the hazard by removing the vehicles; in most cases this is neither possible or practical so the obvious next step is to erect physical barriers. 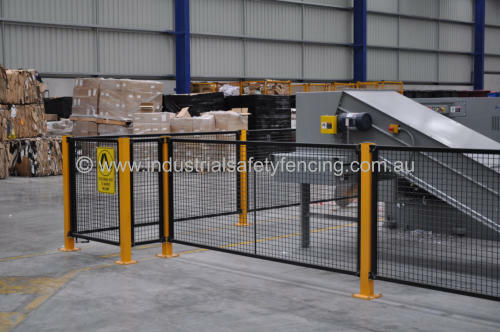 ISF can supply and install the highest standards of separation fencing to suit most applications. Whether it be our standard post and rail system or our new “no weld” post and rail system the outcome will be the same, a safer working environment. 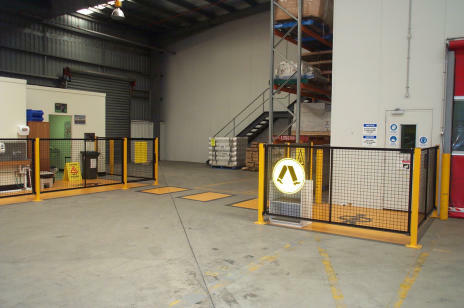 Both systems can incorporate all of ISF’s standard components like forced pause gates to ensure pedestrians stop before entering the danger zone or vehicle detection which can be coupled to visual or audible alarms or even electromagnetic door locks. 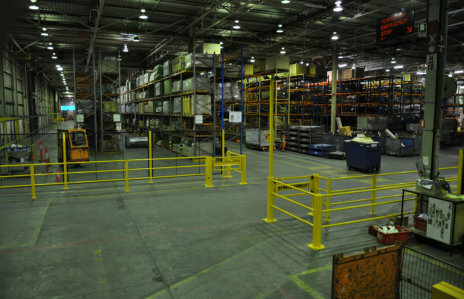 As well as these features ISF can also offer hinged and sliding gates, integrated and stand alone bollards and covered walkways to protect from falling goods. . 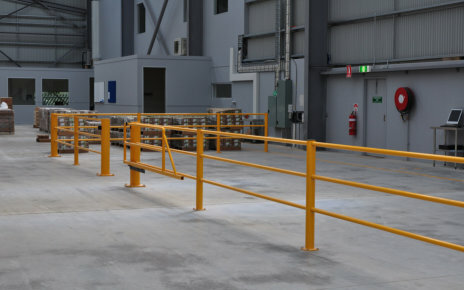 Separation fencing not only provides a solid barrier to separate and protect pedestrians, it also provides a defined walkway that you will always know is clear. There will be no more of that “I’ll just pop a pallet in the walkway for a minute”. If an emergency happens you will know you have a clean and clear path to the emergency exit.